Department of Environment has defended inviting the Quarry Products Association NI to train its staff, despite a possible conflict of interests over Lough Neagh sand. QPANI was invited by DOE to “deliver bespoke training on minerals to departmental officials at a time when QPANI members had not ceased the unauthorised sand extraction from Lough Neagh” according to MLA Stephen Agnew. 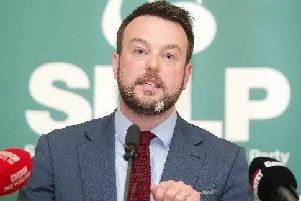 In a question to Environment Minister Mark H Durkan on Monday, the Green Party leader asked why DOE had engaged in the services. QPANI has in the past represented sand traders who were issued with an Enforcement Notice in May 2015. After appealing the decision, traders were given until Autumn this year to submit the necessary environmental impact assessment to the Appeals Commission. In respect of QPANI’s invitation to Stormont, a DOE spokesman said: “As part of the capacity building programme for new councils the department organised and delivered a series of training seminars to planning staff on development management and enforcement relating to minerals development. “This training was primarily provided by professional planning staff accredited by the Royal Town Planning Institute. “The trade association for the quarrying industry in Northern Ireland (QPANI) was invited to take part to provide participants with an industry perspective, as well as facilitating site visits to operating quarries. Gordon Best from QPANI said the organisation had been invited to participate in three sessions and that its presentation lasted around 30mins and covered “the importance of the quarrying and construction material supply industry to the economy of Northern Ireland”.